The rooms at the Park View Inn are extremely spacious and well-furnished. 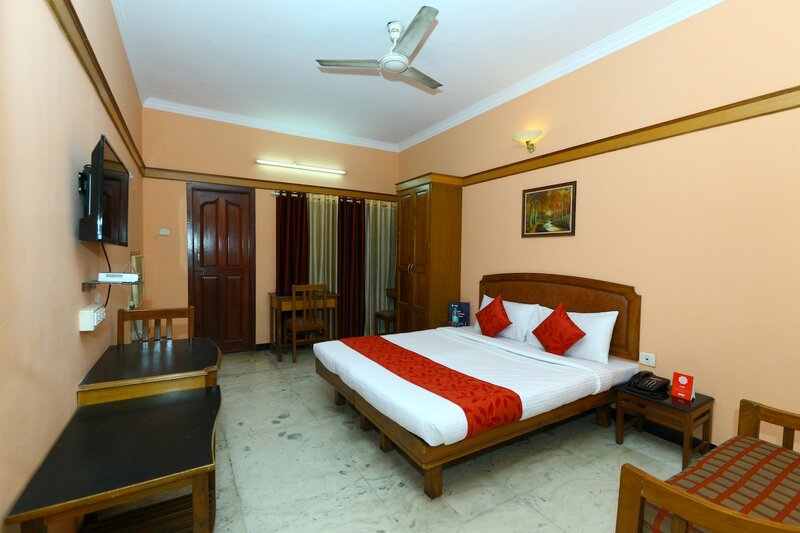 The rooms have been painted in pleasant shades that uplift the mood of the guests. Paintings have been used to adorn the walls and enhance the overall homely ambience of the room. The notable pieces of furniture in the room are the wooden couches with cushions. The curtains add a pop of color to the room. The additional facilities offered by the hotel are parking, card payment, free Wi-Fi, laundry, CCTV cameras, and an elevator. The front desk service is conveniently located near the entrance and accepts card payments.